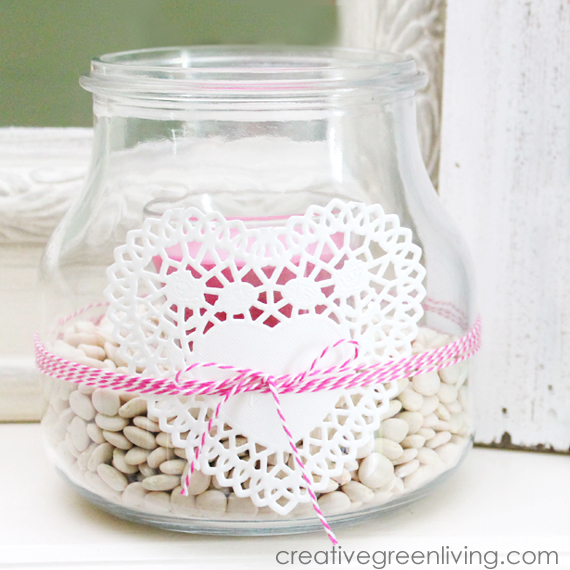 Use a small piece of tape to secure the doily to the front of the vase. 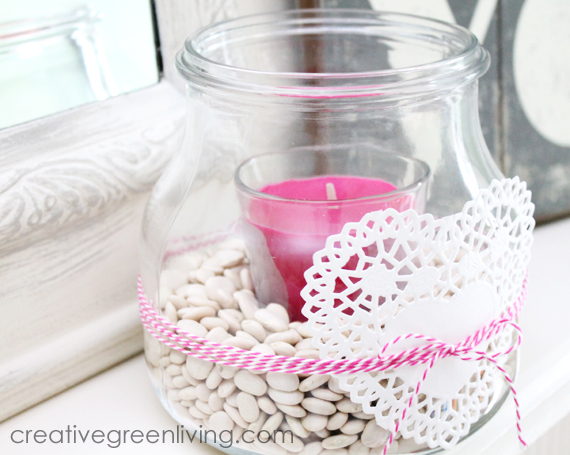 Wrap the pink twine around the jar several times, ending by tying a bow in front of the doily. Add the votive candle on top of the lima beans, pressing down to nest it in the beans a bit.